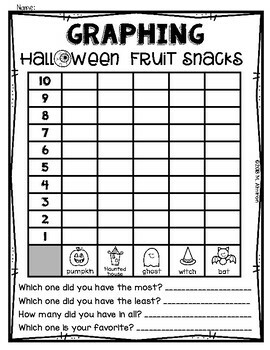 Graphing Halloween Fruit Snacks - FREEBIE! Created to use with "LUNCH BUDDIES Halloween Fruit Flavored Snacks" which you can find in Aldi, or with Welch's Halloween Fruit Snack. Don’t miss out on freebies, flash sales, and more!